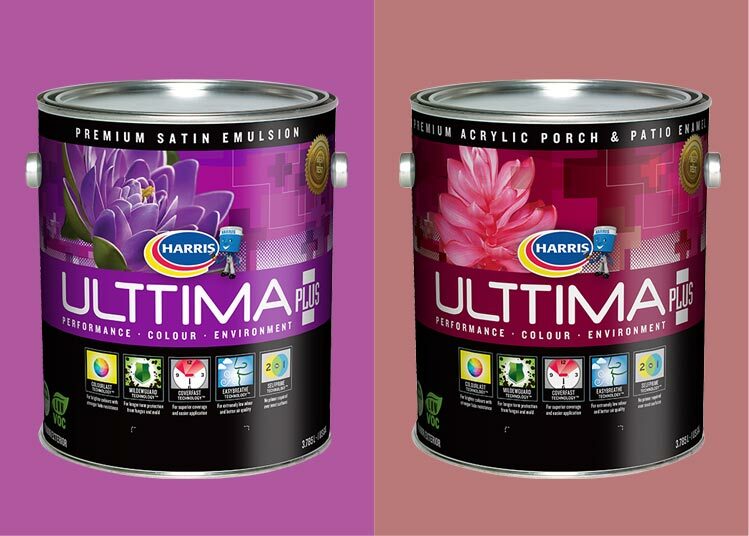 The premier paint brand in the Caribbean, Ulttima Plus combines the latest technology and environmentally friendly properties to deliver the most vibrant colour and best performance. 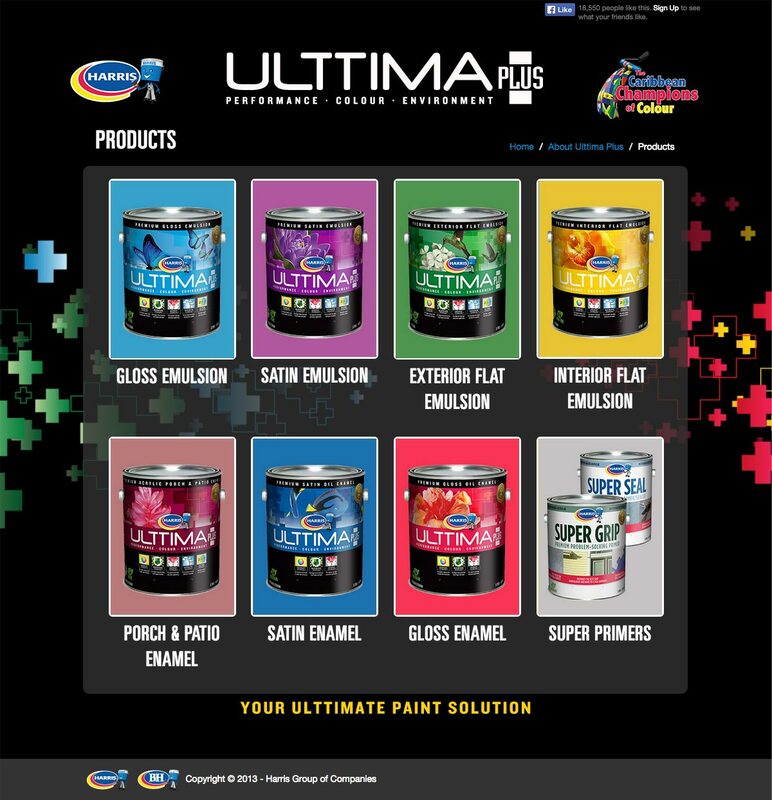 Ulttima Plus is the most technologically advanced paint in the market, with features that put it ahead of the competition. 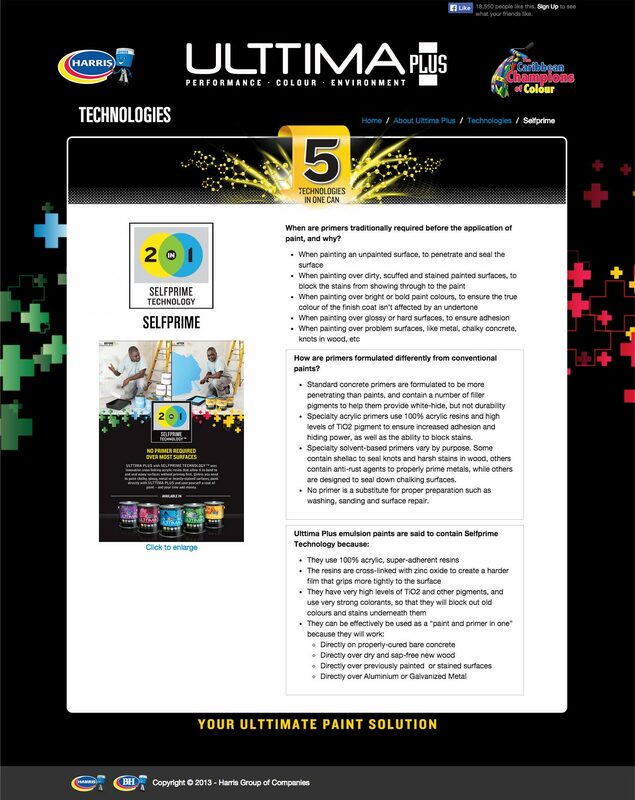 The Ulttima Plus brand relaunch was the largest undertaken in the company’s 50-year history, and we were highly involved from the start. We worked with Harris to create the new Ulttima Plus identity, which was meant to evoke a strong, technologically superior product. 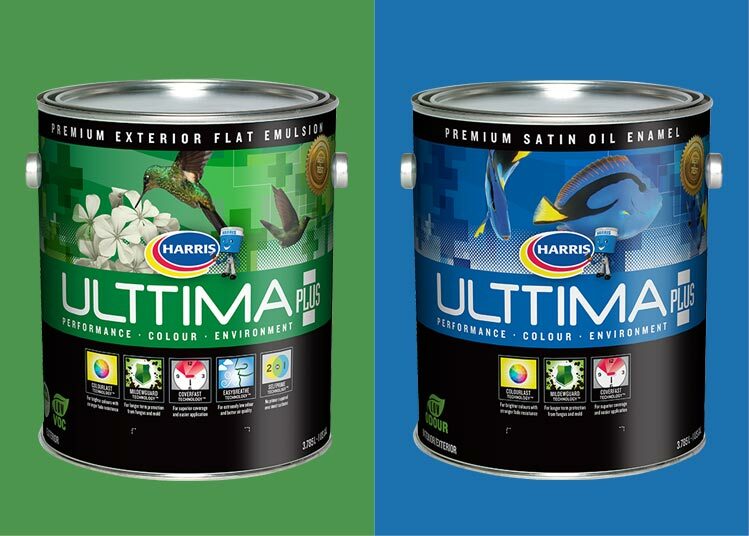 Both the packaging and labeling for the entire paint line were redesigned. The technology in the product was heavily emphasized, while the paint’s visual beauty was represented by the natural imagery of the Caribbean – an important cultural element we wanted to maintain. We produced the artwork and labels for each SKU. Icons were developed for each product feature as a visual short form. 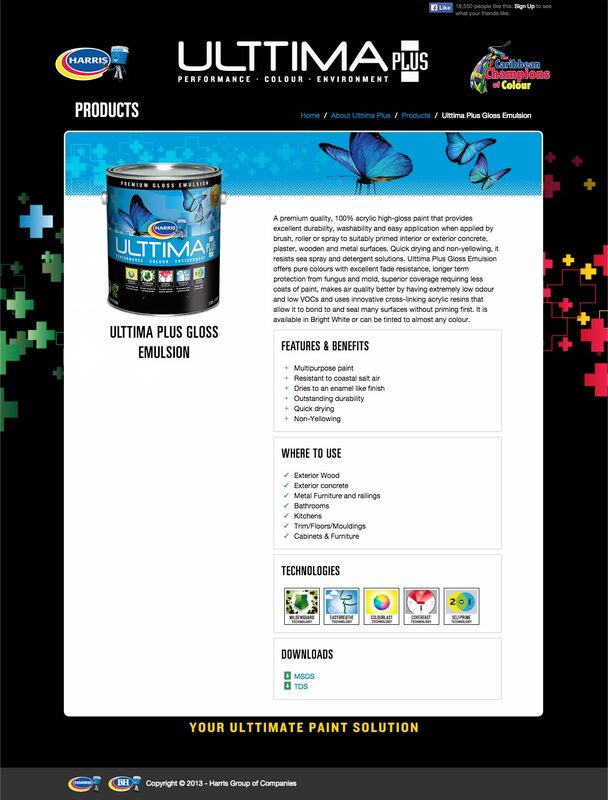 Finally, an Ulttima Plus microsite was developed to drive awareness and announce the arrival of the new flagship brand. We work with clients across all industries. We'd love to learn more about your project.